The little Starbucks mocha frappucinos are the ONLY thing that got me through this month. The second week in the October I was invited KC Fashion Week. I went to the runway show that Thursday night, and it was probably the best experience of my entire month! Since I was already going to KC for fashion week I decided to stay in town the rest of the weekend with my family. That Friday night I watched my sister cheer on her high school football team to a win, and also got to see my aunt and uncle from London. I had been craving Buffalo Wild Wings' honey BBQ wings for weeks, so before I left home to go back to Manhattan my mom treated me to dinner where we saw a rainbow outside! It was actually a double rainbow, but you can't tell from this picture. The next week was K-State's Homecoming. My sorority's theme for the week was San Francisco. We decided to take a Full House twist on it and dressed up in 90s attire for the parade! When I was in KC I also participated in a photoshoot for Do Good Co. I finally got to see the pictures recently, and they're so cute. I would definitely recommend checking out their store or Instagram! My neighborhood in Manhattan has a major bat problem, and last week this little fella ran into one of our windows. The poor little guy laid there for a while all dazed and confused. Last Wednesday everyone in my sorority dressed up in Halloween costumes for dinner. I'm honestly just obsessed with how comfortable my mom's old overalls are so I dressed up like a scarecrow so I could wear them again. 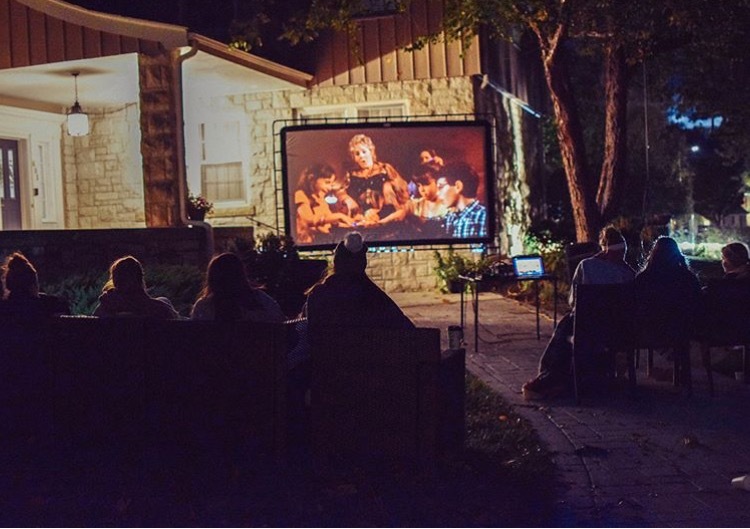 Last Thursday my sorority also watched Halloweentown out on our lawn. It was freezing outside, but that's not anything a few blankets and sweatshirts couldn't fix. Let's just say my brother knows what women really want... just kidding, but seriously, I could really go for some french fries right now...!